Individuals who deal with the skin-reddening disease know just how helpful a rosacea concealer can be. The condition, which usually affects adults, is not harmful but can truly be a blow to anyone's self-esteem. Controlling the condition is crucial, but even dealing with flare-ups is tolerable with the right tools on hand. At its most basic, rosacea is an inflammatory disease that causes the facial skin to become red. The redness isn't limited to the basic flush of color that the cheeks adopt when a person is embarrassed though. 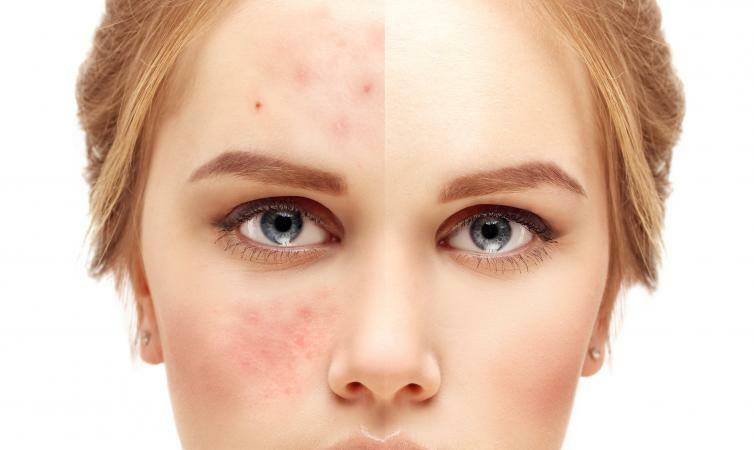 Rosacea brings with it a slew of other characteristics, including pus-filled bumps and red pustules. Unfortunately, the condition is chronic and can worsen over time, especially if left untreated. Similar to some other skin disorders, though, it tends to be cyclic and may vanish for weeks or even months before reappearing suddenly of its own accord. It's also important to note that rosacea is often mistaken for other skin diseases, like adult acne, allergies and eczema. The good news is that rosacea is treatable once a dermatologist has properly diagnosed it. 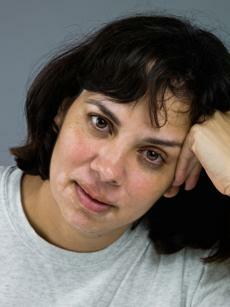 Of course, treatment goes a long way in relieving the symptoms of rosacea. Typically, prescription medications are recommended, and dermatologists may also suggest a skin care regimen that includes specialty cleansers and moisturizers. In conjunction with these treatments, there are certain things you can do to keep your symptoms under cover and even prevent them from occurring in the first place. Don't touch your face too often. Simply rubbing it can irritate the skin. Avoid drinking alcohol. Though it does not cause rosacea, it can contribute to flare-ups. Don't use products that contain alcohol and other known irritants. They can easily trigger a flare-up. Avoid cold, dry winter air if at all possible. If not, keep your face covered with a scarf. Likewise, try to avoid sweltering summer heat and keep your skin fresh instead of overheated. Ensure that all facial products are non-comedogenic, which will help prevent clogged pores. Always apply your medication before anything else, but allow at least 15 minutes for it to dry before using moisturizer or makeup. A concealer is an outstanding product to use if you're hoping to mask the redness during a flare-up. It typically takes a product quite strong and long lasting to do the job right; one thing you truly want to avoid is ending up with blotchy makeup spots that create a spotted pattern on your already red skin. Fortunately, the market is positively booming with excellent concealers that are formulated for this very purpose. Green rosacea concealer is a miracle product that should be in every rosacea patient's makeup kit. That's because green counters redness. Whether the skin is just mildly blotchy or extremely ruddy, this product instantly retaliates against the red and creates the appearance of a natural, healthy skin tone. To apply any green concealer, simply pat it onto the red areas, set with a powder (preferably in a matching green hue if possible - T.LeClerc makes an excellent one) and finish with your everyday foundation. You might wish to add a light dusting of powder over your foundation for a more flawless look. Clinique Redness Solutions Makeup Foundation SPF 15: Enriched with sunscreen and nourishing probiotics, the green base is formulated to tone down redness and is recommended for individuals with flushed skin. Physician's Formula Gentle Cover: This little tube can be carried conveniently in a purse to use for quick touch ups. Perfect for concealing imperfections, it's easy to slick on and is hypoallergenic and ideal for sensitive skin. However, it's best used as a supplement to a more substantial green concealer (such as the Clinique product above if your rosacea is severe. The National Rosacea Society recommends using sunscreen as a protective primer beneath your concealing makeup to reduce the chance of flare-ups. Products that contain zinc or titanium dioxide and are marked for UVA and UVB protection are your best choices. Choose a sunscreen with an SPF of 15 or above, use it every day, and the combination of sunscreen and a good concealer can greatly minimize the redness associated with rosacea.